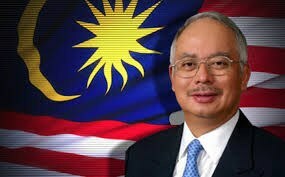 The Indonesian government needs to take action against companies causing haze problem which has affected the air quality, people’s health and economies of countries in the region, said Malaysia Prime Minister Najib Razak on October 4. Najib asserted that only Indonesia could prove whether the haze was due to irresponsible plantation companies carrying out open burning or due to the effects of weather changes. He emphasised the need for close cooperation between Malaysia, Indonesia and Singapore to formulate more effective measures, including the consideration of an agreement signed by the three countries to combat haze, otherwise the matter will recur every year. Meanwhile, Malaysia Deputy Prime Minister Ahmad Zahid Hamidi also requested Indonesia to give more serious commitment to combating haze, adding that Indonesia’s plan to tackle the problem within three years is “too long”. Malaysia Deputy Minister of Women, Family and Community Development Chew Mei Fun demanded Indonesia compensate for damage caused by the worsening haze to the country. She said street vendors’ business activities fell 30 percent, many people missed their flights and students had to stay at home. On October 4, Malaysian Minister of Education Mahdzir Khalid issued a school closure order nationwide on October 5 and 6, except the states of Kelangtan, Sabah and Sarawak, due to the worsening haze.